Fatal Pickings, Book 5 in Cozy Mystery Series Is Out! 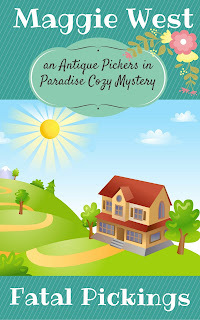 The latest cozy mystery short read in the Antique Pickers in Paradise Cozy Mystery Series is out! In case you haven't seen it yet, this one, it's another short read that you can devour in just an hour or so. Check out Fatal Pickings on Amazon, iTunes/iBooks, Nook, and more by clicking this link. When one of antique pickers Sherri Green and Carol O'Brien's best customers dies, they become suspicious. Was the cause of death really an accident? After learning that Benedict Joslin's death likely was not an accident as originally thought, the pair begins digging around to find out who killed the old man.The problem is Benedict wasn't very well liked and the suspect list keeps getting longer. Fatal Pickings is a clean, short read perfect for lovers of cozy mysteries set in a small town that feature an amateur sleuth. Fatal Pickings is the fifth short book in the Antique Pickers in Paradise Cozy Mysteries series, and is a complete mystery that you can read in an hour or two. As a clean read, it does NOT contain strong language or graphic violence. Just Sherri and her sidekick Carol. Oh and Sherri's husband Ralph and their sweet cat, Kitty Jo. Well, well, where has the time gone!? Do you find it hard to believe it's nearly the middle of February already? I do! 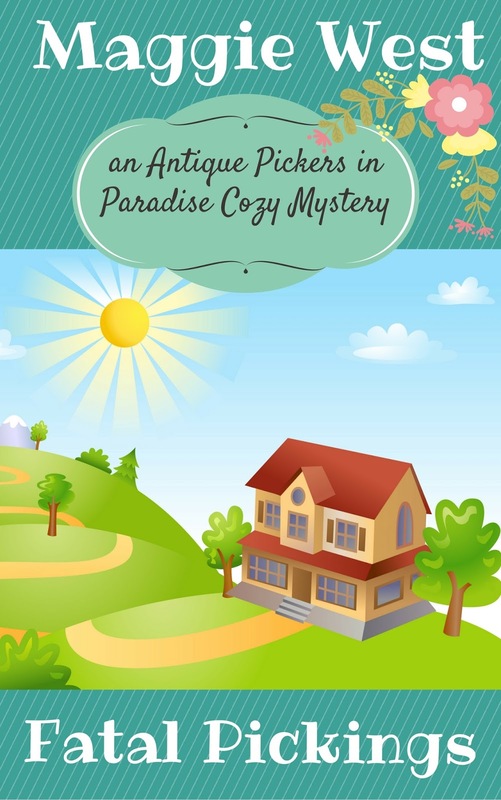 I have a new short read ready for you in the antique pickers in Paradise cozy mystery series. This one is called Pick a Letter and was really fun to write. When antique picker Sherri Green is the winning bidder of a box of ephemera at an auction, she thinks she's just bought just an innocent box of old papers. But a stack of letters from the 1970s grabs her attention and she's off. With the help of her gossipy antiques picking parter, Carol O'Brien, Sherri tracks down the girl who wrote the letters all those years ago and unravels a mystery decades old. Pick a Letter is a clean, short read perfect for lovers of cozy mysteries set in a small town that feature an amateur sleuth. 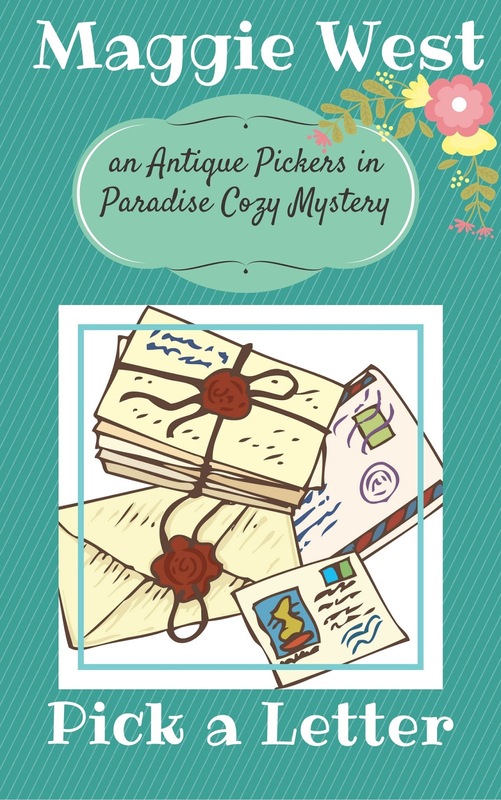 Pick a Letter is the fourth short book in the Antique Pickers in Paradise Cozy Mysteries series, and is a complete mystery that you can read in an hour or two. As a clean read, it does NOT contain strong language or graphic violence. Just Sherri and her sidekick Carol. Oh and Sherri's husband Ralph and their sweet cat, Kitty Jo. 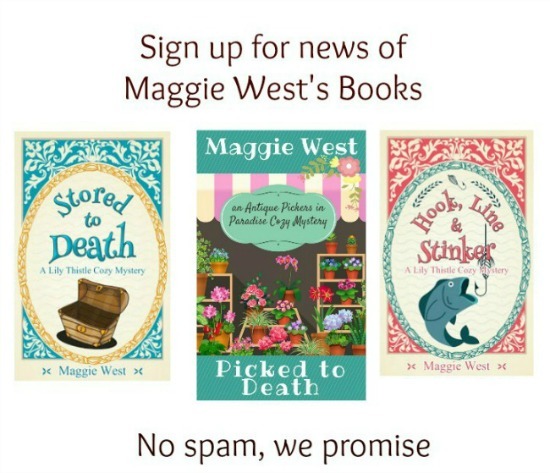 Be sure to check out the first three books in the Antique Pickers in Paradise Cozy Mystery series, Picked to Death, Cotton Picking Murder, and Picked On, for more small town fun and crime solving in the close-knit community of Paradise.